Illustrated by the AS61 standmounts, the Adante range presents a ‘clean sheet’ design unique to ELAC, where technical solutions, precision engineering and superior craftsmanship come together to create breathtaking loudspeakers that sound like nothing else in the world. The advanced, precision-built cabinet features Interport-Coupled Cavity bass loading to exploit the highest performance from its active and passive bass drivers. The inherent superiority of this design solution delivers some of the most authoritative, realistic bass around. Complementing the custom low-frequency drivers is the all-new concentric midrange/tweeter, a natural-sound wonder engineered expressly for the range. Motive power will come from Alchemy electronics, now part of the ELAC brand. 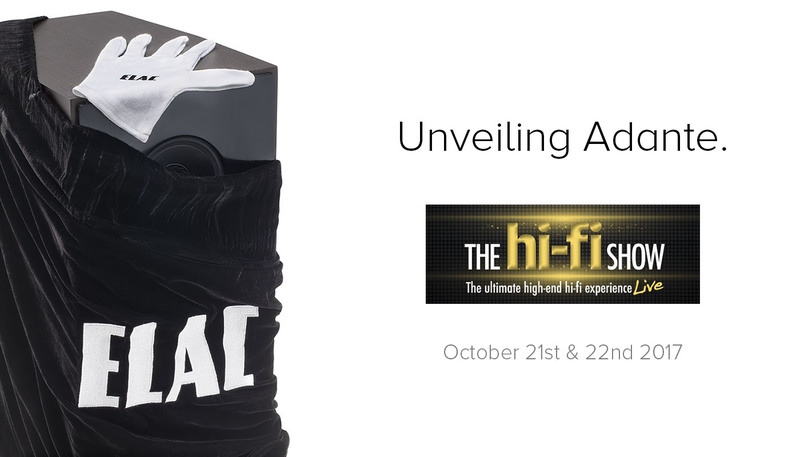 For vinyl fans the EISA Award-winning Miracord 90 Anniversary turntable will be playing some choice LPs (with the Alchemy PPA-1 phono stage) while the Discovery Music Server will be showing off its powerful multi-room capabilities, providing a digital source for both the main Adante system and also the new Discovery Z3 zone speakers, which will also be launched at the Show.